My business style in real estate is one that is built on personal touches, win-win deals and positive results. Most importantly, I listen and that means we find solutions that are custom made for you. My family and I have lived in the HEB area since 1997. Rebecca, my wife of 29 years, works for Lions Health Centers. We have 3 boys ages 23-28-31 that I coached through football, basketball, baseball, softball, hockey and soccer from Lubbock to Mid-Cities. I worked for Southwestern Bell- SBC- AT&T for many years before coming to Mike Bowman. I love to run, sporting events, home projects, spending time with our kids. Robert was awesome throughout the house hunting and home buying process. Anything I asked of him was done, quick and dead on 100% accurate. If you’re looking for a house in the D/FW area this is the guy you want on your team, his knowledge of the area will get you into the house you want in the place you want it. – Jerry L. We used Robert to purchase a townhome. He really seemed to have a better grasp of the subtleties of townhome communities than others I had spoken with. He offered guidance and gave us peace of mind that he was there to protect our interests. I would definitely recommend Robert. – Dean & Carolyn S. It was a pleasure working with Robert purchasing my first home. He was always responsive and advised me on many issues I wasn’t aware of. I will be going back to him when I have further real estate needs! 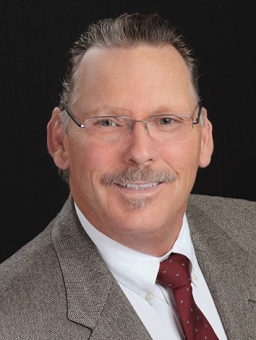 -Anshuo L. Robert Welch was very helpful in finding a home that I am delighted to live in! As a first time buyer, Robert was always there to answer any questions I had. A great Realtor to work with and if I need to find a new home again, I won’t hesitate to pick up the phone and call him. Robert is professional, knowledgeable and will work on your behalf. He is aggressive in marketing your home so it will sell quickly. He is very hands-on during the entire process and I wholeheartedly recommend him for the selling and purchasing of your home. We were blown away by the very quick sale of our home. We met with Robert on a late Saturday afternoon to review the process and by Monday evening we had two offers! By Tuesday we had a contract. Robert was extremely efficient and kept us informed every step of the way. We were actually out of town due to family illness and we could not have been better taken care of if we had been there. Robert is extremely professional, courteous and shows that he wants to take care of his clients. We would use Robert and his team again and definitely recommend him. Robert was very knowledgeable in the listing and selling of our home. Also assisted with the purchase of our new home. We would highly recommend him to family and friends. – Jim & Judy M. Robert was very helpful on what needed to be done in order to sell our house. He’s very friendly and always available for questions! Highly recommend him. Updated: 24th April, 2019 12:14 PM.